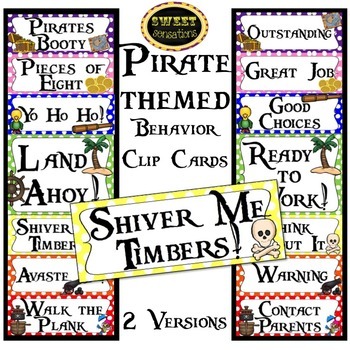 This is a pirate themed behavior chart to hang in your room for your Treasure Island, Ocean or Pirate themed room. There are two formats - English or 'pirate' language. Each card is on a polka dot colored background. 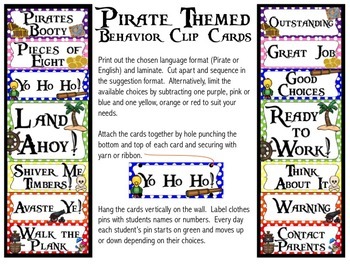 A behavior calendar is provided so that you can easily communicate with parents. You will need to provide clothes pins. This is a color digital product.